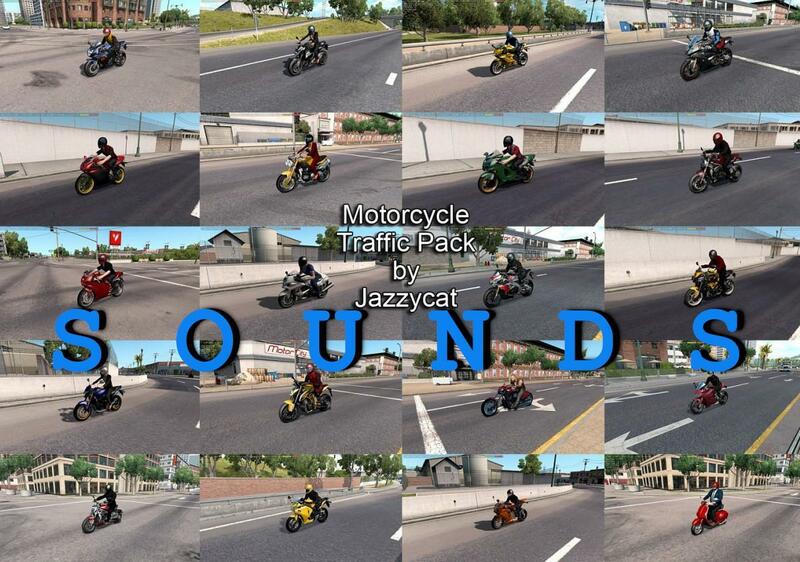 Personalized sounds for Motorcycle Traffic Pack by Jazzycat v 1.6 place above the main mod. My mod includes also increased spawn ratio of the motorcycles, in order to feel it you should enable only the base of the main mod. if you prefer default spawn, you must enable the def file from the main mod (not important which order).